This database is a store for all of the opportunities and ideas for energy saving. 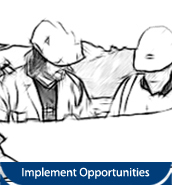 This is the User Guide for the Opportunities Database Tool. It provides information and instructions on how to use the tool. 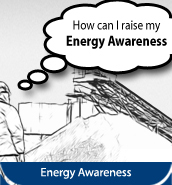 Knowing how much energy is being consumed on site is key to finding opportunities to improve efficiency. This could mean looking at the size of the site's electricity base load, the amount of gas oil a mobile plant is using or the quantity of fuel being used in an asphalt drier. Best and worst practice can be understood by measuring the energy consumed, recording this information and observing the effect of any changes that have been made. This information should be publicized to staff as widely as possible so that they can see the positive outcome of their ideas being used. In addition, making staff aware of the scheme and its impact might incentivize other people to think of ways to make carbon and energy savings. 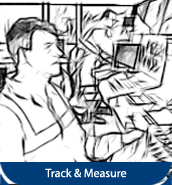 It is an old adage that you cannot manage what you cannot measure and it is the same with Energy Management. 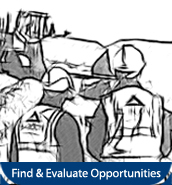 Measuring improvements or deterioration in operational performance, as a result of implementing carbon and energy reduction ideas, is essential to make any scheme work. Best and worst practice can be understood by measuring the energy consumed, recording this information and observing the effect of any changes that have been made. This information should be publicized to staff as widely as possible so that they can see the positive outcome of their ideas being used. In addition, making staff aware of the scheme and its impact might incentivize other people to think of ways to make carbon and energy savings. 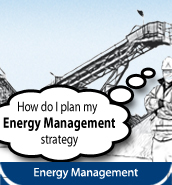 The next journey stage is to make Energy Management part of everyone's duties.